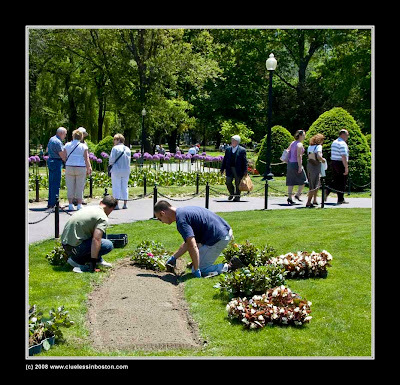 City workers laying new flower beds in the Public Garden. This looks like a wonderful job to have! And I love how you captured it! I don't want to tell you what I thought this was when I saw it in the portal!! Boy, I'm sure glad my yard isn't this big! That's a lot of work! !